Moody’s rates Hamilton a strong Aa1 - Hamilton School District. In preparation for financing of referendum projects, Moody’s Investor Services evaluated the Hamilton School District’s financial status and assigned it an Aa1 rating. “Obligations rated Aa are judged to be of high quality and are subject to very low credit risk,” according to Moody’s website. Moody’s generic ratings are: (from lowest to highest) C, Ca, Caa, B, Ba, Baa, A, Aa and Aaa. 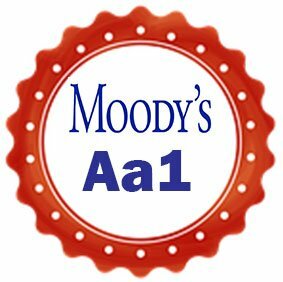 In addition, Moody’s appends numerical modifiers 1, 2, and 3 to each generic rating classification from Aa through Caa. The modifier 1 ranks in the higher end of the generic rating category, with 2 in the mid-range and 3 in the lower end of the generic rating category. Hamilton’s rating was second highest among the possible 21 ratings. The high quality rating will allow the district to secure funding for referendum projects at a favorable interest rate. In its evaluation, Moody’s Investor Services cited the district’s favorable location, growing enrollment, moderate pension liabilities and healthy financial position. Nearly 62 percent of district voters approved $57.4 million of construction in a referendum Feb. 20 that included a new intermediate school, expansion and renovation of the Applied Engineering and Technology Program and a 15-classroom high school addition. Groundbreaking ceremonies for the referendum projects will be April 16 at 5:30 p.m. at the site of the new intermediate school.